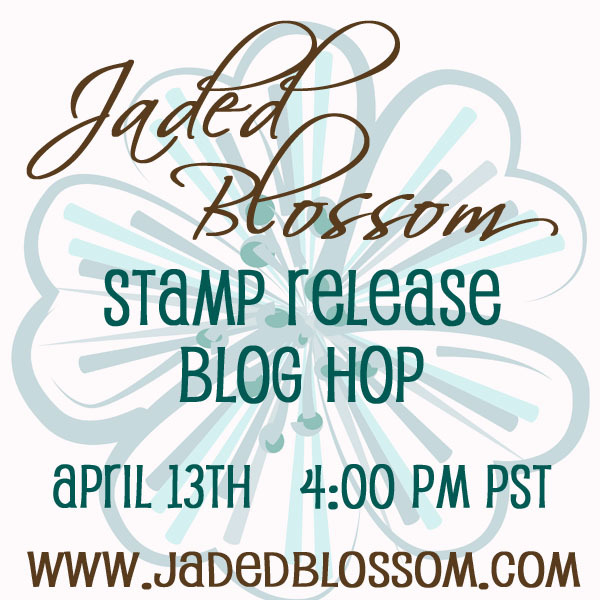 Jaded Blossom: Stamp Release Blog Hop!!! So excited!!! Yay!! What a super release!!!!! Love the stamp sets!!! 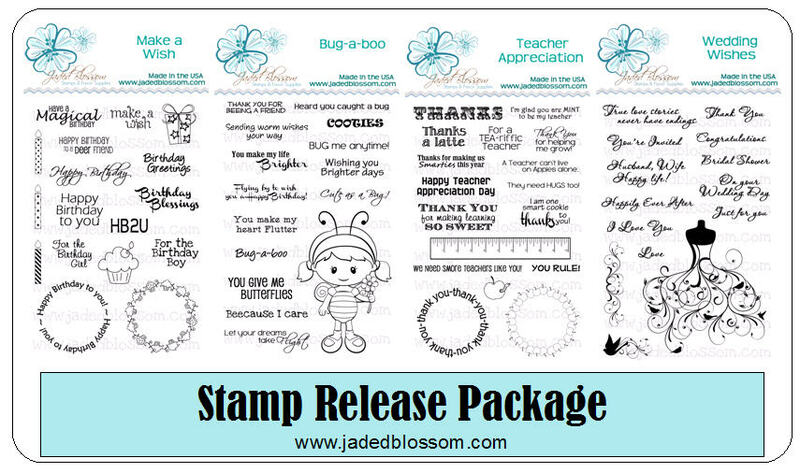 My favorite one is the Bug-a-Boo Stamp set. So cute. Thanks for the chance to win. I'm a follower. Awesome stamp sets!! I love them all..especially the bug! Those are so adorable! I love the Bug-a-boo set! How cute are those!!!! I've also never seen such cute straws before! How fun would those be at a party! Cute cute! Thanks for sharing! I love them all....again! I'm especially excited for the Teacher Appreciation set...I can't wait to use them for favors for our teacher appreciation week coming up. Great job ladies! OMG...great release! That's the BEST teacher set I've ever seen...LOVE IT! Awesome release. I love so many of them. That dress is so pretty. of course Im a follower and Im going to hop to see what these talented ladies made for us. OMG!What a Fantastic Release!Love them all!Really love the Teacher's Appreciation and The wedding Wishes!Thanks for this Great Giveaway! I am a new follower! Your stamps are awesome! Love the buga boo and teacher sets!! How exciting! Thanks! OMGosh this release is super super cute!!! love the bug girl and that ruler a must!! Great job ladies!!! Million uses for the entire teacher stamp set on my side of the world!!! Congratulations!! What an awesome release! I love them all. Love Love Love this release! Can't wait to get my hands on it! Wow all the new stamps are great! These are awesome and a must have! Great job ladies! Wow! What a great release! That little "bee" is adorable and that wedding dress...wow! Beautiful stamps! Love the dress stamp!! So beautiful!!! Great stamps - I have some and recommend them to everyone! Wonderful projects! Love this new release! That dress stamp on the Wedding set is beautiful! 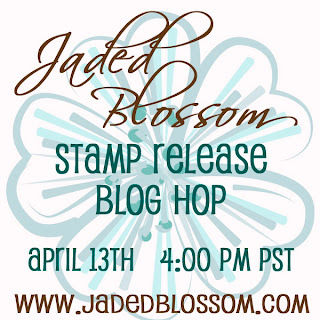 beautiful new stamps and great hop! love the projects from everyone. I love that wedding set, wow! 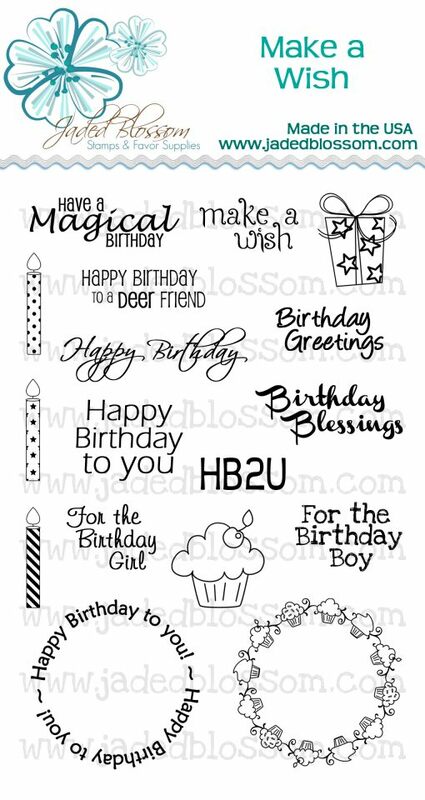 Love these fabulous stamp sets!!!! 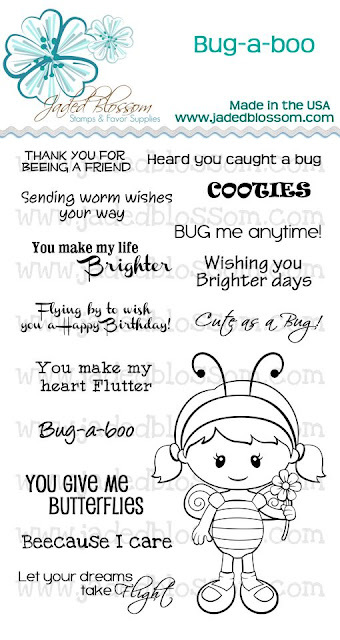 The Bug-a-boo set is absolutely adorable with the sweetest sentiments! I'm a new follower! I'm a new follower here. Very fun assortment of stamps. I'm looking forward to having a look around the blog. Another awesome release!!! I love the bugaboo one oh so much!!! Yea!!! Gotta get teacher appreciation!!! But I'll get all just because I love them all!!! Love these. I can use the wedding set now for a project I am doing. I'm loving these new stamps! Great new release. I love the wedding dress. Love the new release, hate being paid once a month. Great stamps, love all the sentiments,and the little girl bee!! very cute stamp sets.Love the bee girl. Oh em geee!!! I love them allll!!!! My fav is the lil girl!!!! Cant wait to see everyones projects! Oh my goodness, you have done a wonderful job on these sets!! I absolutely love them. 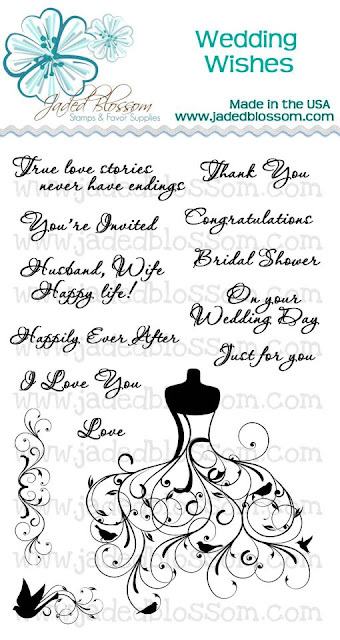 The wedding one is my favorite:) Everyone did a fantastic job showcasing these! Your stamps are darling! Love the wedding dress! The new stamps look amazing. Thanks for a chance to win. What a great release :) Love the wedding wishes. I just found your blog by following your DT member Ruthie over. New follower and love your stamps. Awesome releases. I want them all. Thanks for sharing. 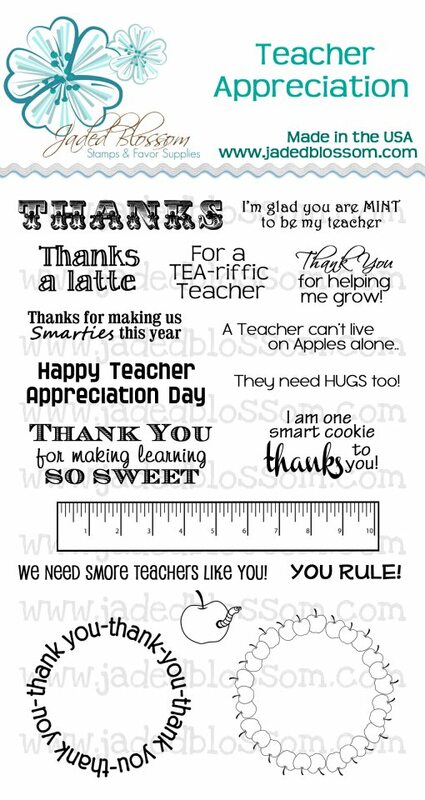 OMG, I am loving this release, but I have to say the "Teacher Appreciation" set is my favorite!!! Thanks so much for the chance to win.. Awesome new Release!! Loving all the different stamps and sentiments!! Thanks for sharing another fabby release...off to hop! I think that this is my favorite release yet. Great job gals. What a fabulous release, I love the bug-a-boo set the most is darling! THanks for the chance to win! such cute stamps. my fave is the teacher set. Love love the stamp sets. My very favorite is the teacher set as well but all of them are fab! I just love the new stamp sets! Off to hop and see all the fun projects! Awesome stamps !! I'm off to do the Hop. Also , a new follower. What a creative and fun hop! These stamps sets are fantastic and your team really showed them off! What a great release ladies! Love em! I finally got a second this weekend to start hopping!!! YIPEEEEE!!! I am in LOVE with that wedding dress stamp! How beautiful! You have outdone yourself with this release...especially the wedding set. ABSOLUTELY GORGEOUS!!! Way to go. I am so loving these new stamps!!! My favorite RELEASE so far!!!! You ladies ROCK!!!!!!!!! You really outdid yourself. the stamp sets are so cute. Love the stamps! They are wonderful! I love to hop. 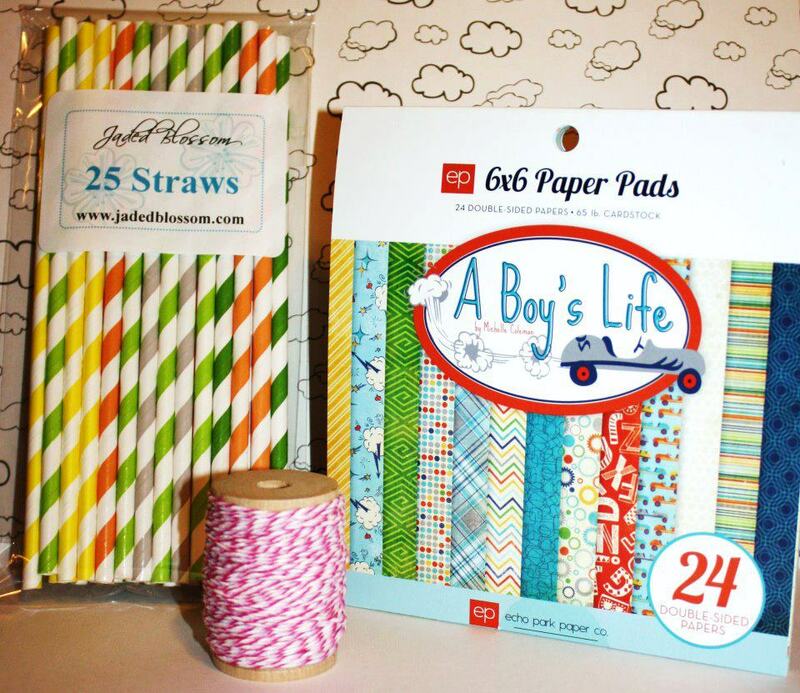 It's such a great way to see new blogs, designers and products!